Karachi: Multinational Maritime Exercise AMAN 19 formally commenced today at Pakistan Navy Dockyard, with a colorful flag hoisting ceremony. 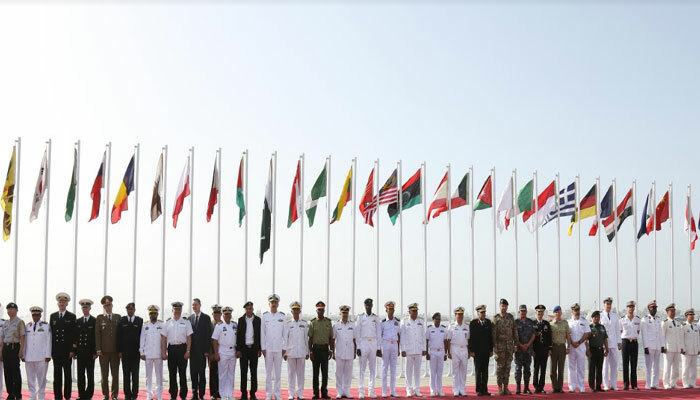 Speaking on the occasion, Commander Pakistan Fleet, Vice Admiral Muhammad Amjad Khan Niazi warmly welcomed the august participating nations for a common resolve “Together for Peace”. Admiral emphasized that we can work together, keeping our differences aside, to defeat our common adversaries. These adversaries pose threats like piracy, terrorism, drug-trafficking, gun-running and human smuggling; and greater adversary is the climate change which calls for a growing need to respond to it collectively. Commander Pakistan Fleet added that despite having a turbulent phase of its contemporary history, Pakistan remained steadfast in fighting the forces of terror and tyranny. Pakistan continues to be a responsible state, cognizant of its role and significance in the international system. Vice Admiral Muhammad Amjad Khan Niazi highlighted that Pakistan has been a proactive member of maritime security initiatives launched as part of the war against terror. Pakistan Navy has always been a consistent Security contributor in Indian Ocean Region. 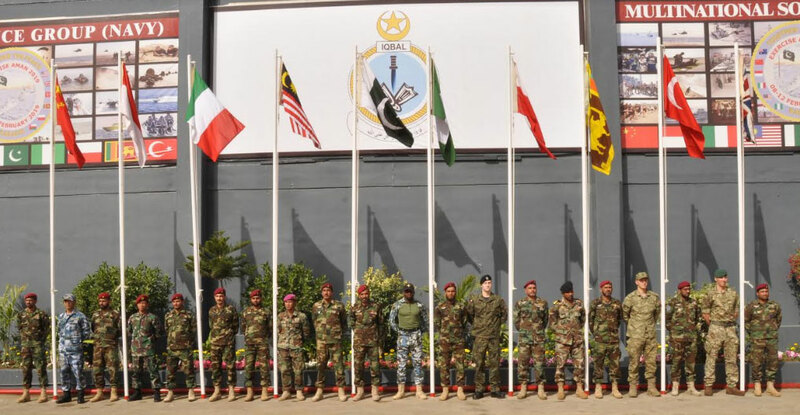 Task Force 88 and Regional Maritime Security Patrol (RMSP) have been institutionalized to ensure maritime security of Gwadar and adjacent sea lanes and maintain robust security posture in critical sea areas and choke points in Indian Ocean for protection of national and international shipping. During the ceremony, the Message of Chief of the Naval Staff, Admiral Zafar Mahmood Abbasi was also read out. In his message the Naval Chief warmly welcomed the participations of Exercise AMAN-19, the 6th episode of the AMAN initiative. One of the key events of AMAN-19 other than sea exercises, is 'International Maritime Conference' spanned over three days, being organized by National Centre for Maritime Policy Research (NCMPR).